Eva Dances. Dance Poem, Dance Song. 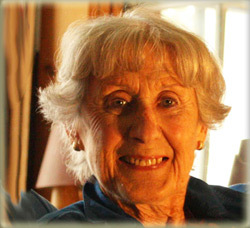 Tribute to Eva, Dancer, 87. I love to dance, I love dance, live dance, all my life long. Eva dancing in dance poems. Eva Dances. Dance Poem, Dance Song. 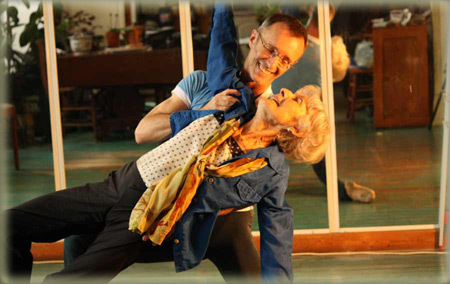 Tribute to Eva, Dancer, 87. I love to dance, I love dance, live dance, all my life long. Eva dancing in dance poems. A question: why are we doing this, putting so much energy into protecting freedom of speech, the freedom to flourish? Why care about the encroachments of Islam? I've recently done a tribute to my 87-year-old dancer teacher, Eva, once a celebrated Canadian dancer, founder of Les Ballets Jazz de Montreal. I met Eva long after that, when she was in her mid-seventies, giving classes at a fitness center. Why bring her up? Her life - her lifelong love of dance - would have no place in an Islamic world. The freedom of men and women to dance together, touch each other when dancing - that would be gone. The whole dance world would be gone. The freedom to follow one's creative passions - gone. Why do a tribute to Eva? I see her life as, in so many ways, a celebration of following one's passion, and also passing on this love. Here's the history of the tribute. I wrote the words years ago as a birthday gift to Eva. This year - finally - a friend recorded Eva saying the words, another friend took photos of Eva dancing, 2 musicians composed and recorded, and I've done the web page. A group effort. And a video is planned. In the meantime, Eva still teaches dance, gives a weekly dance class at a cancer survivor center, and gives me a lesson as often as we can get together. I'm so glad to have Eva in my life, and to be able to do a tribute to her, and to her living a live she loves. live dance, all my life long.